The change of the social situation in Czechoslovakia after 1989 was also reflected in the field of culture, including the museums, galleries and museology sectors. Democratisation and the entry of opinions and political pluralism into society qualitatively created new conditions for the development of all museum activities, especially in the areas of collection acquisition and presentation. Responsibility for the activities of museums and galleries began to rest fully on the management of individual institutions, where in many cases their expert and professional preparedness and erudition were manifested. In this period, the state reduced its role to ensuring and controlling the financing of the museums and galleries. The conceptual changes in the organisation and management of museology began with the creation of a legislative environment for museums and galleries that would fully accept the prevailing social-political changes in the country. At the same time, the legacy, tasks and significance of museums and galleries in the protection of cultural heritage and its use in the public interest were clearly established. In 1990 the majority of museums and galleries were transferred from the founder’s competence of the regional structures of the previous communist regime (national committees) to the founder’s competence of the Ministry of Culture. This amounted to centralisation – but it was a good centralisation. The transfer of museums and galleries to the direct management of the Ministry of Culture undoubtedly protected many museums from early decline or the radical and immediate reduction of their activities into facilities which performed only presentation activities without collection activities or the expert administration of collections. This situation, in which more than 90 per cent of Slovakia’s museums and galleries were managed by the Ministry of Culture, lasted until 1996. From 1996 to 2002 another model of management for Slovak state cultural organisations was tested. However this one turned out to be a ‘dead-end street’. This experiment ended in 2002 – in line with the trend to decentralise the state administration, the majority of regional museums and galleries were transferred to the founder’s competence of self-governing regions, while on the other hand specialised museums in particular were transferred to the competence of various ministries, such as the Ministry of the Environment (Slovak Mining Museum in Banská Štiavnica, the Slovak Museum of Nature Protection and Speleology in Liptovský Mikuláš) or the Ministry of Agriculture (Museum in Svätý Anton, Forestry and Timber Museum in Zvolen). After passing the Act on Local Government, municipalities could also become founders of museums and galleries. Only Bratislava Municipal Government used this opportunity by taking over the Bratislava City Museum and the Bratislava City Gallery. 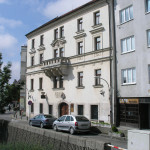 The Janko Kráľ Museum in Liptovský Mikuláš also remained in the administration of the town. Some municipalities used the opportunity to found new museum and gallery institutions. However, most municipalities lacked funds for such ‘luxuries’, and this is why today there are only a few such museums in Slovakia. During this period the number of museums established by companies, enterprises and physical entities continued to grow. The passing of the Slovak Republic National Council Act No 115/1998 Coll. on museums and galleries and on the protection of items of museum value and gallery value, significantly contributed to the stabilising of the position of museums and galleries in society and in the system of the culture and elimination of negative effects of changes to the network of museums and galleries. After 1990 democratic changes in Slovakia also opened up a new space for museums and galleries to show their initiative and full professionalism in expert activities without permanent political pressure or the hitherto ever-present state control, however the full development of these new opportunities was hindered by the lack of financial resources. The dramatic changes in the Slovak economy in the transfer from the planned economy to the free market meant a steep decline of the country’s living standards. The result was that between 1990 and 2000 there was insufficient financial provision for museums and galleries, a shortfall that even the increase in earned income could not compensate for. All of this forced museums and galleries to reduce their basic museum activities. The insufficient financing of museums and galleries was negatively projected in the overall status of museums and galleries and museology in Slovakia, which meant the reduction of all expert activities. The growth of economic productivity after 2000 allowed the founders of museums – ie the state, regional governments or municipal governments – once more to invest in museum infrastructures and in the development of museum activities. Items of cultural value were once more purchased for gallery and museum collections, thus resulting in necessary changes in permanent collections in many places, the preparation of more complex and spectacular exhibitions, and the growth of museum activities and projects designated for children and youth.